As you may know, YouTube has been around since 2005, and since then, there have been tremendous benefits to posting on YouTube, but those have changed slightly over the years, as YouTube has changed. The incentive for posting depends on your objective. I’m just going to address the benefits and not the caveats and potential drawbacks for the purpose of this answer. The benefits far outweigh the drawbacks, by the way. YouTube dramatically increases your visibility and by extension, credibility (as long as your videos are well done). My clients have definitely seen benefits from posting videos on YouTube, as have I. If you have a business, posting well-executed, relevant, informative and brand-enhancing videos on YouTube is a low-barrier-to-entry marketing tactic that will increase your search engine results online and is a proven reputation- and business-booster. CEOs turn to YouTube to gather information on businesses. Having a presence on YouTube can differentiate your business from the competition online and the videos are easy to add to your business website. Not only can you showcase your products or services, you can extend the value of your products or services by providing additional and helpful information to your customers or would-be customers. I think one good rule of thumb is to try and keep your content 80% helpful/informative and 20% promotional. 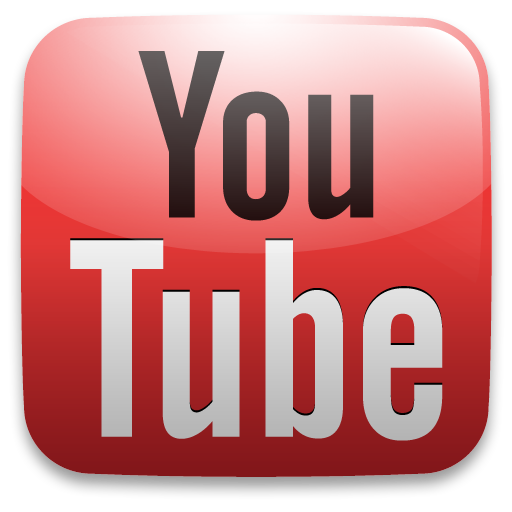 If you have a nonprofit organization, YouTube has demonstrated results in leading to additional support and funding. People are visual and naturally respond to the power of storytelling — there is no better way to tell the story of your mission than with video. Keep in mind that YouTube has a program for nonprofits and acceptance into this program will provide you with branding and advertising benefits at no cost to the organization. If you are an individual, depending on your objective, YouTube can be a fun way to share your interests and passions, and make connections with other people who feel the same way, or who might benefit from your expertise. I’ve felt a great sense of accomplishment by sharing my tips for raising a child with autism on YouTube and people from all over the world have reached out to me for advice. That makes me feel like my struggle has had a wider purpose. Those are my thoughts on the benefits of YouTube. You can find more tips on the Fletcher Prince Slideshare page. Remember, YouTube is a powerful medium and the adage “Anything worth doing is worth doing well” definitely applies to YouTube video planning and production! Thanks for asking me to answer this question and let me know if you have any other questions about YouTube! Extra effort can make your video worth watching. Yes, you read that right! eMarketer just released the stats. 93% of marketers used video for online marketing, sales or communications in 2013, up from 81% in 2012. Why has online video become so popular as a marketing tactic? It works like a voodoo charm. It is easier and less expensive to produce now than it once was. It plays well with others: email, ad campaigns, blogs, Facebook, websites, Twitter, and, of course, YouTube. And anyway you slice it, it looks pretty darn impressive. Some of the most popular reasons marketers are turning to online video include explaining new products and services, generating sales leads, and increasing SEO, to name a few. But what if you are still a newbie? How should you get started with online video for your company or nonprofit? Well, in my opinion, when you are experimenting with a new marketing tactic, the best approach is to pick a low-risk project that may also be a bit fun. That doesn’t mean that you invest less than 100% in effort and planning. But while you are in the learning and experimental phase, pick something that is perhaps not critical to your marketing efforts. That might be, for example, a holiday video, like a Thanksgiving message. It’s easy to do and it’s heart-felt. You can embed it in an email and send it to your clients or customers. Now is an excellent time to start thinking, long-range, about your video marketing plans for 2014. I would love to have that conversation with you. And if you would like help with video production, we do that, too. Be aware that this study indicated that professionally produced video yields better marketing results than amateur productions. Our prices start at $1200/video with substantial discounts for multiple video packages. So let us lend a hand! YouTube. Don’t try to understand it. I don’t ever want to hear “How can I make my video go viral?” because there are NO rules. Every time somebody thinks they have found the magic formula, me included, someone comes along and breaks all the rules. People are going to like what they’re going to like. There is a market for almost everything. So, three weeks ago, this guy was selling fish. He sang to try and attract customers. Someone thought his song was catchy. Two weeks ago he put up this video. Now he has millions of views (and that’s just on his channel) and CNN featured him today. CNN, people. This fish he’s selling (1 British pound) would be about $1.62 U.S. No clue what he’s making from the advertising revenue on this video! I love the takeaways in this post — especially how to put statistics in visual terms and real-life contexts everyone can relate to and the importance of working on voice tone and delivery for impactful video! This is a terrific blog, by the way, if you haven’t subscribed, I recommend you do! Video content is one of the most powerful drivers of engagement and visibility for press release issuers and content marketers. Messages that include multimedia get favorable treatment from search engines and social networks; and the human eye naturally gravitates toward visuals. Producing video is part of many communication strategies. To develop the best content possible, it’s important that the subjects of your video look (and sound) great on camera. The American Society of Journalists and Authors (ASJA) annual Writers Conference featured more than 80 sessions covering a wide variety of topics, including “How to Look and Sound Great on Camera.” While the conference was geared toward writers, the tips work well for anyone in the camera’s lens. Three panelists shared their tips on how you can hone your personal style, develop an appealing speaking voice and craft effective messages. There is no better time than the holidays to let the most important people to your company or nonprofit know that you appreciate them. You can do that easily and creatively this year with affordable and personalized holiday greetings designed for you by your friends at Fletcher Prince. We have special deals for you — just in time for the holidays. Just because we enjoy this kind of work so much! Holiday Greeting Videos are a wonderful way to spread your company’s message of cheer and thanks to clients, customers, employees, and supporters. We can help you create and share memorable online video Thanksgiving messages, Seasons Greetings, and Happy New Year wishes. Record a “Year in Review” video and celebrate your achievements. Create a video “annual report.” There are so many possibilities! You have two easy options. We can take your high resolution images and messages, set it to music, and create an appealing holiday video card ($250, 30 seconds – 1 minute long). Or let us record you in person, adding images and music to create the perfect, personalized holiday video greeting ($350 at Fletcher Prince between 11/16-11/19; $550 at your home or office on other dates). We’ll show you how to share these on YouTube, Facebook, your website, blog, Twitter, and on other social networks, as well as in email communications. We also design holiday versions of your social media profile logos ($125) — so jazz up Twitter, Google+, YouTube, Facebook, and with a custom holiday logo. Our gift to you is special savings on graphic design for printed collateral. Let us design a branded holiday greeting card for your company or organization (starting at $125/design). Reserve your spot during our Holiday Greeting Video Marathon! Make plans now to join us during our Holiday Greeting Video Marathon November 16-19 and record your video at Fletcher Prince! We have props, backgrounds, and help you with wardrobe, hair and makeup advice, if desired. 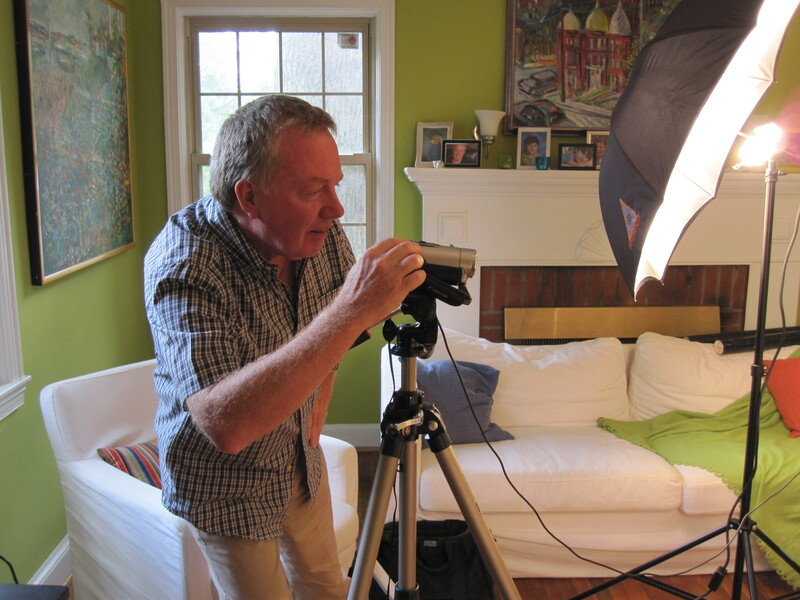 2012 clients get a free video recording session during our Marathon! Call (571) 269-7559 for details and to book your session. Best wishes to you as you plan for the end of the year. Thinking about using video to market your company or organization? Do you see your competitors on YouTube and wonder: should we be there, too? There is one good reason to invest in video. It works. It works because nothing creates trust online like video. Let’s talk about trust and marketing. People buy products or services they need or want, but they buy from companies they trust. They support causes they believe in, but they donate their time and money to nonprofit organizations they trust. Trust is key in any relationship, and especially in marketing. If you are reaching out to a consumer or a supporter who doesn’t know anything about you or your company, what is the first thing you have to do? You have to gain their trust. So they’ll believe what you have to say. So how does video help you achieve trust? Let’s imagine a scenario. What if every potential client or customer were recommended and introduced to you personally by their best friend? If you could then meet each person, and talk to them when they were relaxed and in a good mood and interested in what you had to say, persuading them would be a lot easier. But that scenario isn’t practical for most of us. So how else can we build a relationship built on trust? With video. And why is that? Well, video is “real.” Honest. Most people can’t fake who they are, or what their products can do, on video. Nothing can touch video for authenticity (except connecting in-person). If you can make your case on YouTube or on a video podcast to a receptive audience, with real people and actual demonstrations, you have achieved a big step in winning the trust of potential customers or supporters. We have found this to be true with out own clients: their videos position them as subject matter experts, obtaining the attention of prospects. Another, more well-known example is the Will it Blend? YouTube videos. Those videos achieve what a magazine ad could never do – they proved that the blender works. People believed in the brand, and sales increased 700%. Another huge advantage of online video is that it reaches people when they are most receptive to what you have to tell them. When someone watches your YouTube video, chances are they were searching or looking at other search results on the same subject. They’re actively seeking. So from the outset, they’re receptive to the content of your message, on their schedule. Whether it’s 1 a.m. and you’re asleep or it’s Saturday afternoon and you’re at your child’s recital, you don’t have to worry about it because your video is speaking for you, and for your brand, 24/7. The great advantage of YouTube video is its ranking in search. When you optimize your YouTube videos, you make them more likely to be found in search engine results by people who are actively looking for information on that topic. Maybe that person is one of the many journalists who say they use YouTube to find background information on organizations and products. Maybe that person is a legislative assistant or congressional representative who is informing themselves about your product or cause, because it relates to some key policy decision and they want more information, and we know from research that legislators and their staff do refer to YouTube videos for that reason. Maybe it is someone who is thinking about buying your product, or supporting your cause, and did a search and your video popped up. You can create the a terrific video, but if it isn’t optimized, chances are it won’t reach its search potential and it won’t be discovered. But, if you optimize the video, you have not only tapped into all the powerful benefits of the medium – it’s visual appeal and authenticity factor — but also the incredible value associated with search. Importantly, when we’re talking about video, the consumer is in control of the interaction. This minimizes the potential invasive or annoyance factor, such as you may have with television commercials, making them that much more receptive to your message. On YouTube, they can choose whether to watch a video. The ball is in their court. They can stop in mid-stream and go on to another video. They can watch it again and again. They can email it to their best friend, or share it on Facebook. They can look at related videos that appear alongside the video, and get more information. They can do a lot of things with YouTube video that they can’t do with broadcast commercials (unless of course, that commercial appears on YouTube). But just the fact that they are in control of how they receive the message amplifies the trust factor. You know, commercials have to be entertaining or surprising because they really are intrusive in nature. But when a person is looking at a video, the chances are they were looking for content on that topic. So, as I said, he or she is already receptive to receiving information. You don’t have to resort to cute or funny techniques. It doesn’t hurt to be entertaining on YouTube, but it’s not a requirement (unless you are monetizing your YouTube videos). You can go for informative. So, take for instance, Geico. Geico car insurance uses a talking lizard and other gimmicks which are entirely unrelated to cars and safety to sell car insurance. Since commercials are intrusive, and they’re selling on price, they really have to be as entertaining as possible. Probably because they are a big name brand already, and they are targeting a price-sensitive audience, they have chosen not to market on trust. I mean, there is nothing relevant or trust-inducing about a talking lizard, right? He’s just cute and funny and memorable (e.g., “gecko” sounds a little bit like “Geico”). So that works for their print and broadcast marketing. But, if they chose, they could take a different strategy with their YouTube Channel than they do with their commercials. They could, for example, upload customer testimonials, case studies, consumer information about selecting car insurance, seasonal safety demonstrations, interviews with the top executives and regular employees, and other relevant content. They don’t happen to do that, but if building trust was a marketing goal for the company, and they were interested in reaching the kinds of consumers who were less concerned with price value than with quality or reliability, they might choose to put those kinds of videos on their YouTube channel. And because of the way consumers interact with this medium, that would work. It would work in the way that those trust-building marketing messages would reach their target consumers who were ready to buy car insurance, not in the way that the videos would achieve millions of views. Another way video builds trust is the way it can be shared. Remember how I said wouldn’t it be great if every client or customer we wanted to get came to us personally on the recommendation of a friend? In a way, that can happen with video. When a friend shares a video, that action carries their personal endorsement. They’re saying: what I’m about to show you is worthwhile and deserves your attention. Nothing is more powerful in marketing than the referral and recommendation of a friend. If my sister sends me a YoutTube video to watch, there is a 100% likelihood that I will watch it, and then talk to her about it. That good relationship can be extended to your brand with a successful YouTube video. We are huge proponents of the power of YouTube. It can work for many kinds of businesses and nonprofit organizations. We can work with you to create a YouTube video strategy that integrates with your ongoing efforts to attract customers or supporters. We can help you plan and schedule content, design a YouTube Channel, and produce your videos. There’s no more compelling way to tell the story of your brand than with YouTube video but using YouTube effectively for your company or organization does take serious effort. In this Social Media Week DC presentation, Mary Fletcher Jones of Fletcher Prince ‪http://www.FletcherPrince.com‬ will talk about the marketing advantages of YouTube for your business, agency, or nonprofit organization. Mary will suggest practical tips for producing high quality video that obtains lots of views, focusing on the core aspects of content, production quality, and search engine optimization. This session was recorded live at Thomas Jefferson Library in Falls Church, Virginia on February 14, 2012 for Social Media Week DC. Please excuse the production quality; it is not up to our usual standard since this is a video taken from a Livestream broadcast on a webcam — but we promised to make this content available to our attendees. Thank you for watching, and please subscribe to Fletcher Prince on YouTube!